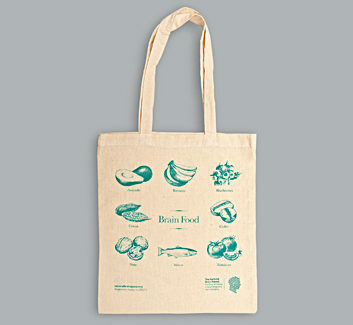 Help us to fund advances in neurology and neurosurgery (and save the world from plastic bags!) by buying one of our beautifully illustrated shoppers. Made from 100% Fairtrade cotton, the bag is strong, has long handles and is the perfect size to carry school stuff, groceries or an impulse buy. To guarantee pre-Christmas delivery, please order no later than Monday 10 December. If you are unsure, you can call the office on 020 3448 3724 before placing your order.